When I think ‘lady’, I think ‘poise’, ‘grace’ and ‘elegance’. And while those words are very similar in definition, a quick search revealed that they are each slightly nuanced. Excuse me while I get a bit nerdy. cultured elegance in behavior or manner. sophisticated and superior good taste. a person’s behavior or manners. Class. Pure simple, beautiful class. This is something I need to work on more in my life. 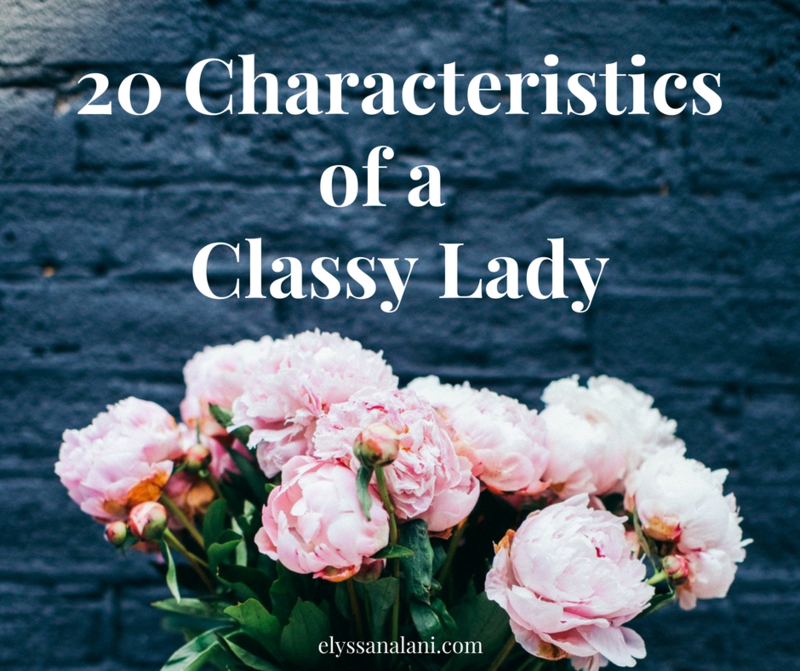 I’ve scoured several blog posts on the elegance, grace, poise and class and found lists upon lists of what constitutes a classy woman. When all is said and done, true elegance and refinement shines from the inside out. A woman can look and walk like Grace Kelly but open her mouth and suddenly look more like the Wicked Witch of the West. And no matter how ill-kempt another woman may look, she can act with dignity and kindness and everyone realizes how truly beautiful she is. With that in mind, I came up with my own list of classy lady-ness. These are characteristics that I want to cultivate in my own life. It is one of the goals on my 101 in 1001 list. 1. A Classy Lady is self – aware. She has a healthy knowledge of her strengths and weaknesses. She knows what she can handle and what she has to stay away from. She knows when to wisely take risks and when to stay close to home. She is cognizant of how people see her and cares about the impression she makes on them. She pays attention to emotions but is not a slave to them. A classy lady maintains her boundaries because she knows the consequences of compromise. 2. A Classy Lady has forgiven herself. Part of self-awareness is knowing that you’re not perfect and you have made mistakes. A classy lady has made peace with her past and forgiven herself for those things she’s not proud of. She knows that God’s grace is sufficient and that He sees better for her life and will walk with her into the future. She doesn’t let the darkness of the past steal from the blessings God has for her. 3. A Classy Lady is adaptable. She doesn’t lose her cool when plans change or or last minute challenges arise. She can gracefully switch gears even when all the details are yet to be discovered. She knows when to press for information and when to be carefree. A classy lady is at peace in the midst of chaos and can engage with issues to find solutions to problems. 4. A Classy Lady faces her fears. She recognizes that fear is a mechanism with two faces. On the one hand, it can protect us from danger and harm but on the other hand, fear can hold us captive and prevent us from taking necessary risks. Instead of being held captive, a classy lady faces her fears and finds ways to tackle the risk in a healthy manner. She refuses to live a life stagnated by shoulda, woulda, coulda. 5. A Classy Lady has self-respect. While she knows that pride goes before a fall, she possesses great self-respect. She knows that she must first respect herself if she expects anyone else to. Out of respect for the body and life she’s been given, she is intentional about how she treats herself, her environment, and her future. She doesn’t please others at her expense. A classy lady understands that there is a difference between Christlike generosity and selflessness and allowing people to trample all over you. 6. A Classy Lady is authentic. She knows that fake-it-till-you-make-it comes in handy in many a situation, she never pretends to be someone she is not. What you see is what you get. She doesn’t put on a show to please others and she doesn’t compromise her personality, character, ethics, or values just because someone might not like her. A classy lady is comfortable in her own skin, embraces her individuality, and makes it her business to be the best version of herself. 7. A Classy Lady is honest but tactful. She knows how to speak the truth with love. She won’t lie but she is careful not to injure tender feelings. She knows that timing is just as important as word choice as are tone of voice and body language. She seeks to uplift, not to tear down. 8. A Classy Lady is teachable. She believes in lifelong learning and growing in wisdom and experience. She doesn’t claim to know it all, even when she’s her talents show skill or expertise. 9. A Classy Lady has great posture. It takes effort, attention, and practice but she knows the value of proper posture. A classy lady doesn’t slouch – ever. 10. A Classy Lady knows the great power of words. So she stays away from gossip. She doesn’t curse. She doesn’t air her dirty laundry (or others for that matter). She doesn’t make it a habit to complain. She keeps confidences. She doesn’t exaggerate and refrains from generalizing in arguments (i.e. “you always do…,” or “you never do…”). A classy takes care to give advice when invited to but keep her opinions to herself when unsolicited. She thinks before opening her mouth and finds that often those moments of consideration prove that no words are actually necessary. A classy lady knows the value of silence. She doesn’t feed into the foolishness and doesn’t wallow in the negative. She uses her words to uplift, encourage, instruct, advise, and cheer. She knows once spoken, words are gone forever. 11. A Classy Lady values simplicity, modesty and elegance in dress and makeup. She has an eye for a well-constructed outfit and knows how to best dress her body. She builds her wardrobe with classic, well-made staples. She knows that just because the label says it’s her size doesn’t mean she should wear it. She doesn’t let her makeup tell a different story than her natural beauty. She knows that in all things wardrobe, hair and makeup, simple elegance paired with unique originality is best. 12. A Classy Lady takes care of her mind and body. She knows her body is a temple of the Holy Spirit and is careful about what she puts inside and is temperate in her choices. She gets proper rest and exercises often. 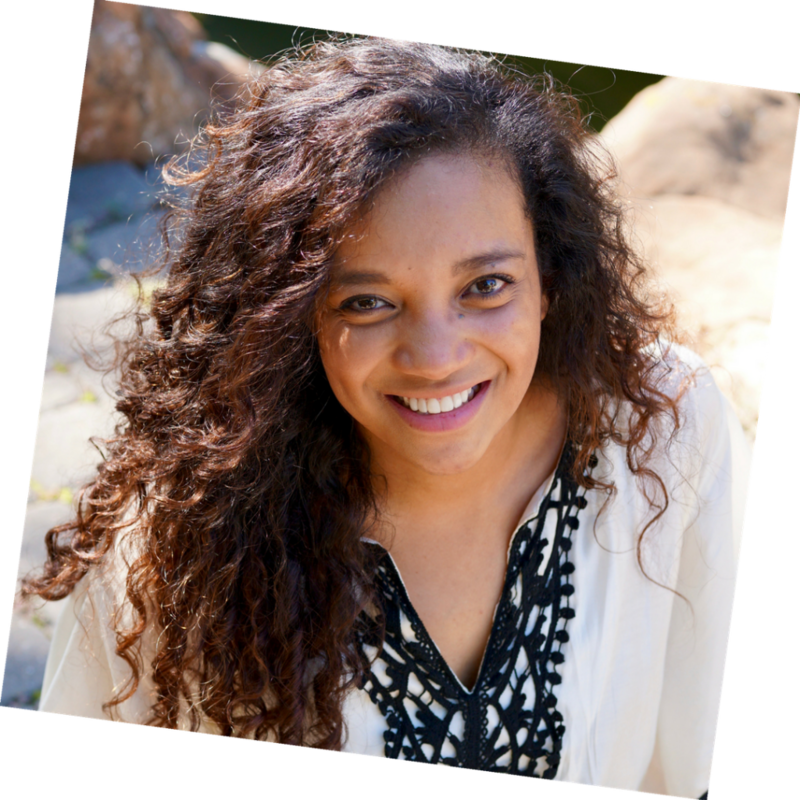 She spends time alone to reconnect with God and her goals and priorities. She works hard to maintain balance in all areas of her life so she isn’t overworked, unnecessarily stressed, and generally frazzled. 13. A Classy Lady can take a compliment. 14. A Classy Lady knows what she believes. She has values, ethics, and a moral code. She knows what she stands for and where she draws the line on issues. She’s open to conversations and keeps an open mind but she is not easily moved by the latest trends and crazes. She’s not gullible and asks questions. A classy lady is able to express her opinions without being overly opinionated, pushy or preachy. She can graciously agree to disagree and she respects others’ right to their opinion. 15. A Classy Lady has impeccable integrity. She does the right thing. Even when nobody is looking. Because she knows Someone always is. And she cares what He thinks. 16. A Classy Lady doesn’t trample on others. She doesn’t use people. She’s not malicious. She sees no value in putting other people down, defaming them, or putting them at a disadvantage. A classy lady treats people the way Christ does and goes out of her way to be kind, polite, and gracious. 17. A Classy Lady is a good listener. She looks people in the eye. She responds well. She asks questions. She’s not counting down until she gets to open her mouth. She’s maintains genuine interest in the conversation and when she truly doesn’t care, the other person would never know. A classy lady knows that sometimes people don’t need their problem solved, they just need someone to hear them out. And in a world of constant frenzy, someone who is gracious enough to give the gift of a listening ear is priceless. So she puts her phone down and she listens. 18. A Classy Lady is strong. She approaches life with bravery, not because she’s never scared but because she knows greater is He that is within her than he that’s in the world. She doesn’t need anyone to validate her worth. She knows she is valuable as an individual in God’s eyes. She can be single and satisfied with what God gave her. She can be married and invest in her husband and children because she is a whole person with knowledge, skill, and love to give. She has emotional intelligence and a finely tuned social antenna. She takes things as they come. She stays in control of those things that she can control and leaves the rest to God. She doesn’t shy away from conflict. A classy lady faces everything with quiet strength and a determination to keep on pressing forward. 19. A Classy Lady is humble. She knows that everything she is, all that she owns, and whatever opportunities come her way are gifts from God. Her world doesn’t revolve around herself. A classy lady doesn’t approach life with arrogance or entitlement. She knows that life is fleeting and she is grateful for every moment she is given. 20. A Classy Lady smiles. She knows that when all else fails, a smile can work wonders. The rude, over-worked cashier, the tired mom with three screaming kids in the park, the man rushing to his next meeting, they all deserve a smile, brief though it may be. Her stressed out husband, worried parent, whiny children, annoying sibling, they all deserve smiles too. Even when she may not feel sunny inside, a Classy Lady always gives this little gift as a token of love and joy to those around her. She may never know the effect but she knows the potential could be life changing. There’s my list! What do you think? Is there anything you’d add? What are the characteristics you want to cultivate in your own life? I’d love to read your thoughts in the comments!